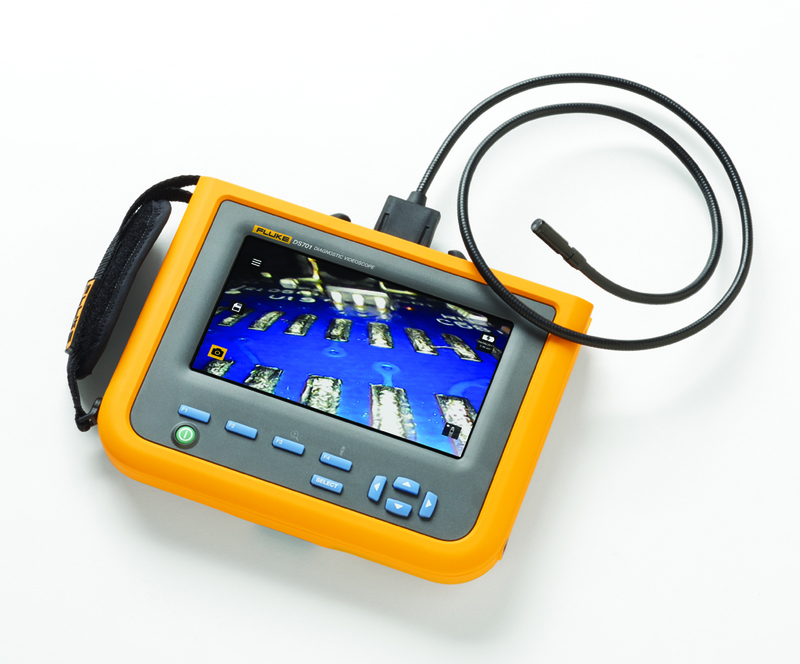 While videoscopes are commonly used in many applications, industrial inspections require powerful, high-resolution videoscopes that clearly display the condition of internal equipment components. High-resolution videoscopes allow industrial maintenance teams to identify equipment issues quickly and schedule preventive maintenance measures to avoid costly unplanned shut-downs. Comtest is now offering the new 800 x 600 resolution Fluke DS701 diagnostic videoscope and 1200 x 720 resolution DS703FC high resolution version, built for industrial maintenance troubleshooting and quality assurance testing and designed to stand up to challenges of a rugged environment. These rugged videoscopes are designed for a variety of industrial applications such as production (e.g. inspection of bearing surfaces and lubrication and gear helix inspection); aircraft maintenance (e.g. blade inspection and engine hot section contamination) and automotive quality assurance (e.g. testing of casting goods and inspection for cracks, chips, and contamination in HP chambers), and heavy-duty maintenance (e.g. inspection of clogged pipelines, and corrosion in rotors and stators).